Couldn't it have been shorter? So, I’ve read one of Andrea Levy’s books before—Never Far From Nowhere. I had to read it for the introductory part of my degree course. HAD to. And to be honest, it nearly put me off the whole thing from the start. However, last year I saw the much anticipated TV adaptation of Small Island, thought it was wonderful- and came to the conclusion that maybe I’d been a bit hard on Andrea. The judges of those big prizes love ‘multiculturalism’, don’t they? Immigration, or stories of. Third, fourth generation immigrant seed and their harrowing tales of families ripped apart, piss-poor wages and pissy (literally) tenement housing in one (or more) of Britain’s industrial cities. Well at least that’s what it feels like. Brick Lane’s the ultimate. But at least that was half decent. Anyway, I’ve heard it all before, so I wasn’t holding out much hope for this, Levy’s fifth novel exploring these familiar issues. The upside to Levy though is that she always provides a historical background to her discussion of race and heritage; at least, if the background is an interesting one, then the story should be. No? But first, the upside. For there is only one. 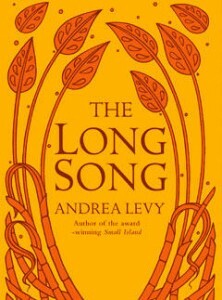 The Long Song is incredibly well written- not even overly-critical me can deny that. 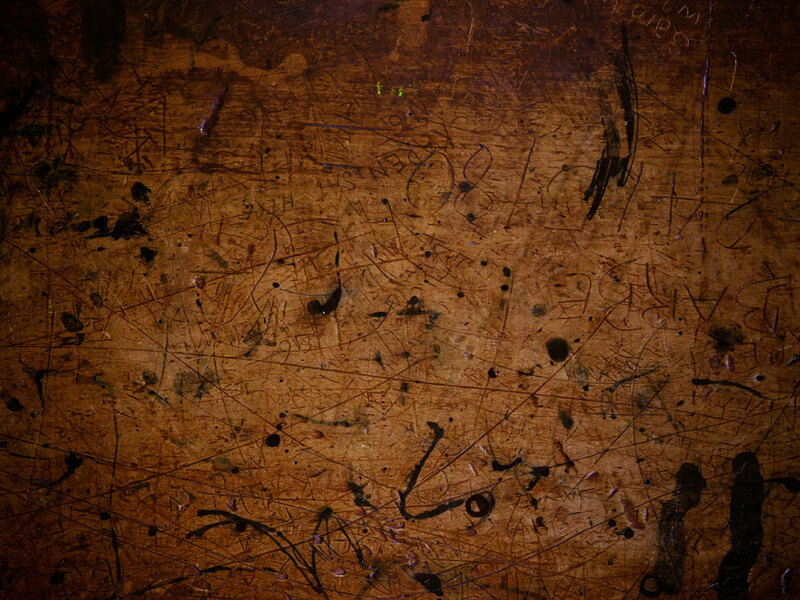 Levy has not so much a style as a paintbrush, or a camera, even. Her words evoke action, reaction, and above all, the human character as expressed in movement and bodily function. If the people in this novel aren’t particularly distinguishable as mental creatures, each one does have its own physical being, and is described differently from every other. People apart, the prose is descriptive and evocative without being dense. It’s languid, clean, and a delight to read. Levy has an amusing way with dialogue, particularly those sorts of asides we all whisper to ourselves but don’t really want anyone to hear. When the narrator describes the Lady of the Manor as her “fatty-batty mistress” we can all hear the protagonist saying it, even if she never actually utters the words. The filmic quality of the prose is quickly defeated by an unnecessarily layered narrative structure, laboured plot and clichéd, blueprint like characters. The action moves in acts rather than scenes, which is frustrating for the reader who may often find himself sat, wondering…. when something else…. is actually going …. to happen. The book begins with a foreword from the narrator’s (and protagonist’s, as it turns out) son who then introduces his mother’s narration, which THEN introduces the tale. This contrivance of storytelling is pretty annoying. The reader feels Levy is continually tapping on their shoulder and whispering in their ear, “In case you’ve forgotten, this is a STORY.” Yes. We know. As per usual you’re led into hating all the white people pretty instantaneously and bribed fairly obviously into liking most of the black people (but it doesn’t work). Here Levy’s focus on physicality can become a negative force. “The tip of Clara’s nose pointed upwards like a white woman’s”. I find myself wanting to amend this sentence to, “The tip of Clara’s nose pointed upwards like every annoying white female character in narrative history’s”. Characters constantly belch, burp and squelch, which I think is supposed to be naturalistic but just ends up being irritating. Funnily enough, after a few hours’ reading you can’t help but pick up on how much YOU, as her reader, begin to think that when Levy’s narrator accuses her Mistress of “belching out some nonsensical tale” that she might be referring also to her authoress. In fact, during the second or third hour of reading, I found myself tempted to give up. It’s not often I deny myself when I feel these sorts of urges, but nevertheless I did because I hoped that Levy might eventually beat her own overly storified construction into submission with superior wordcraft. Alas, I was disappointed. I came to the conclusion that The Long Song is pretty much Gone With The Wind, in Jamaica, from the point of view of the slaves, when it could have been so much more of a singular thing. Historical background becomes a crutch rather than an interesting tool, and you definitely feel like “this story is told for [Levy’s] amusement” rather than the reader’s. The title of the book is therefore horribly appropriate – the Song of Andrea’s wonderful writing talent has been markedly quietened at the insistence of the Long epic feel of the book.